Optimum HealthCare is concerned about your health and wellness. The health professionals and clinics in our network in the Greater Houston Area and surrounding cities share the goal of helping you to be pain free! We are here to match you with a wellness program and to health professionals ready to assist you in feeling better. If you suffer with back pain, carpal tunnel syndrome, shoulder injuries, knee injuries, neck pain headaches, numbness tingling, painful joints, sleep loss, bursitis, sports related injuries, work related injuries, or injuries resulting from an car accident in Houston or the surrounding cities, we can help you access the full range of treatment you need to improve your quality of life and get more health back into it. Been In An Accident in Houston? We believe that being healthy means more than being pain free—it is the ability to do what you need and want to in regaining quality of life through receiving treatment for your condition by health professionals of your choosing. Health professionals in our Houston network provide Chiropractic Care, Physical Therapy, Massage Therapy, and Car Accidents injury care in Houston, to help Back Pain and other joint pain injuries. Each year there are hundreds of car accidents in Houston, with a substantial amount resulting in serious injuries. 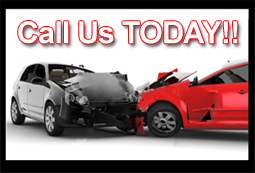 Each year there are hundreds of car accidents in Houston, with a substantial amount resulting in serious injuries. If you were injured in a car accident, Optimum Healthcare in Houston can provide you with the medical treatment you need to get you back on your feet. Anything from poor driving habits to negligence can lead to a motor vehicle accident. People who have suffered car wreck damages or injuries after the accident can be faced with problems when receiving fair compensation from those at fault for the accident. Some insurance agencies take precautions to keep from paying victims what they truthfully deserve. In the event of a serious accident sometimes victims might not know what a proper settlement would be. On-going medical treatment, vehicle repairs, payment of lost wages, are just a few of the things that should be addressed. Being in an accident can be very stressful, but knowing the right place to go can alleviate any stress you have. Here at Optimum Health Care, we provide services for car accident victims to take full advantage of the benefits provided by insurance companies and the law. Part of good health is mental, and we provide services that are not only for physical treatment but mental health as well. We are here to alleviate stress in your life, which can lead to better overall health! So when I was in a car accident in Houston, things got really ugly for me. I had been rear ended and my back and neck were causing me pain after the accident. So much that I started to worry. I had went to the MD after and all he prescribed me were pain meds. First thing, I am only into naturopathic medicine and the idea of taking any sort of drug had me worried out of my mind. But I took them to kill the pain. After taking the meds for few weeks, the pain was still there. I didn't know what to do about covering my bills from the doctor or how the insurance even worked. So I searched a bit and found OHC, with one call they provided me with treatment for my back and handled all my insurance information, and even arranged a lawyer to handle my case. They didn't charge me anything for whatever they did for me. They told me what they were handling and what to do when you are in a car accident. With treatment my back and neck pain subsided. They helped me out through this troubling time. HOUSTON, Texas -- A man has been charged in a street ... Video from that morning shows a truck parked. Then, you see a car crash into the truck, pushing it, as a second car quickly drives by.